Welcome to Berkshire Hathaway HomeServices Showcase Properties, located in Dothan, AL. We strive to deliver the most innovative, personalized, consistent level of service to our Customers and Clients. Whether you are purchasing your first home, building a new home, relocating to the area, moving up, right-sizing, or investing for your future, we hope you will find our resources to be the most informative and user-friendly! Our Mobile options allow you to get information INSTANTLY on ANY listing in the Dothan Multiple Listing Service, and help you find that perfect property quickly and easily! If you are planning to sell your home, you would be hard-pressed to find a real estate company that showcases your property as aggressively as Prudential Showcase Properties! We feature our properties on our TV Show, You Tube, REALTOR.com, Trulia, Zillow, Frontdoor, and have a strong presence in print advertising and social media! Berkshire Hathaway HomeServices’ Seller Advantage™ keeps you informed about the online activity and what’s happening in the local real estate market. Simply give us a call and we will be glad to provide a complimentary Comparative Market Analysis and Customized Marketing Plan for you! Our team of dedicated Associates are highly trained and motivated to make your real estate experience enjoyable and stress-free. Our eConcierge service provides our Customers and Clients with respected lenders, home inspectors, vendors and contractors who can help put all of the pieces together to make your transaction go smoothly.  Berkshire Hathaway HomeServices Showcase Properties is so committed to the quality of your real estate experience that you will be given the opportunity to evaluate our service after the closing! Our Customers and Clients become a part of our extended family and receive invitations to our annual Client Appreciation Events. We are focused on a long-term rewarding relationship, where we can be your trusted real estate professionals as you buy, sell, or invest in the most reliable investment throughout time…real estate!